Good to Great Schools Australia’s Implementation Improvement Director Dr Lynn Lysko will facilitate effective teaching training in Sydney, Melbourne, Adelaide and Perth in May 2019. This introductory course to effective teaching is suitable for educators at all levels, from teaching assistants, classroom teachers, heads of curriculum and other school leaders. Lynn Lysko, PhD has over 33 years of experience in preschool to post-secondary education in diverse settings in both the United States and Canada. Lynn’s areas of expertise include effective instructional strategies, change theory, professional learning communities and transformational leadership. With a deep understanding of school and system-level data, she uses data to effect positive results for students. Lynn has successfully led school and system reform efforts in leadership roles. She has been both a primary and secondary school principal, a regional director of curriculum and staff development, and chief executive officer of a network of four independent schools. Lynn’s doctorate focused on administrative leadership for teaching and learning, specialising in school-wide implementations of effective teaching. Her dissertation was awarded Walden University’s Frank Dilley Award for Outstanding Doctoral Study — an award recognising high standards of academic excellence. Lynn has published work on education policy including An Analysis of Governance Policies and Practices in One School District Regarding English Learners. This explored why secondary English-learning students in a large, urban high school district were not achieving at the same rates as other identified subgroups on standardised tests — what could be done to change this and increase students’ overall learning. She designs and teaches cultural proficiency and personal ethics courses to aspiring principals, with a particular emphasis on performance assessment. She is also a Brandman University adjunct faculty for new teachers, focusing on differentiation and assessment. She has created walkthrough protocols merging the Rigor and Relevance Framework with Explicit Direct Instruction. Lynn also has a Master of Arts in Spanish and a Bachelor of Arts with a double major in French and Spanish, with additional qualifications in drama and cooperative education. 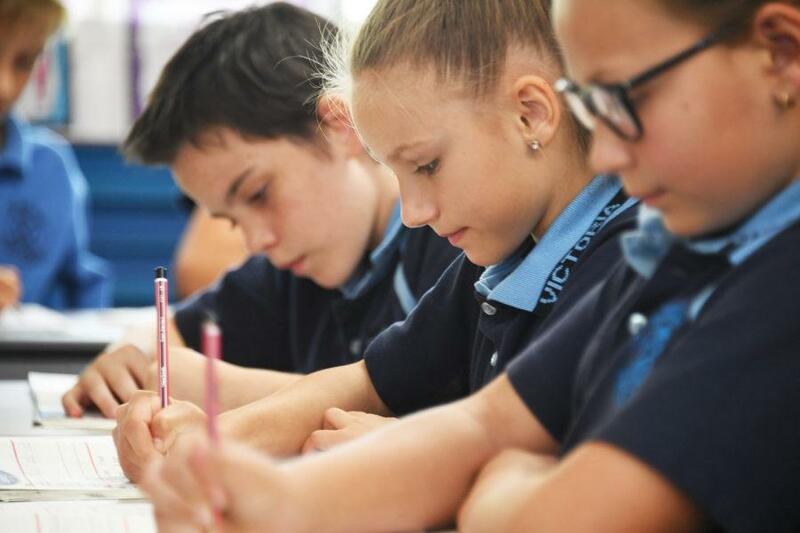 As Implementation Improvement Director at Good to Great Schools Australia, Lynn oversees the quality of tailored school implementations and reviews school results data. Lynn is also a mentor to school leaders and works closely with teaching coaches. Interesting fact: Lynn has travelled the world as a SCUBA diver and student exchange group leader. She has dived in the Red Sea, Fiji, Indonesia and the Caribbean as a student group leader she has travelled to Japan, Switzerland, Italy and France. She also speaks Spanish and French fluently. Learn more about effective teaching training with Lynn and other experts in evidence-based teaching pedagogy.